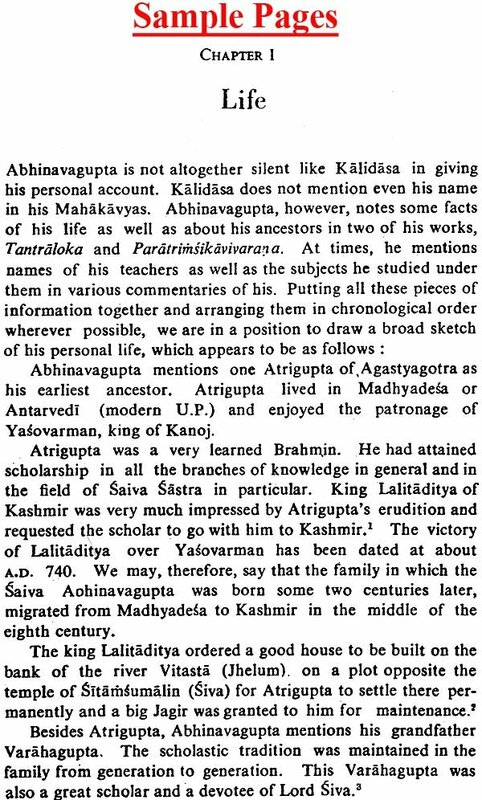 Abhinavagupta (A.D. 940-1015), authority on Indian theatre, literary criticism and aesthetics, belonged to the Pratyabhijna School of Kashmir Shaivism. 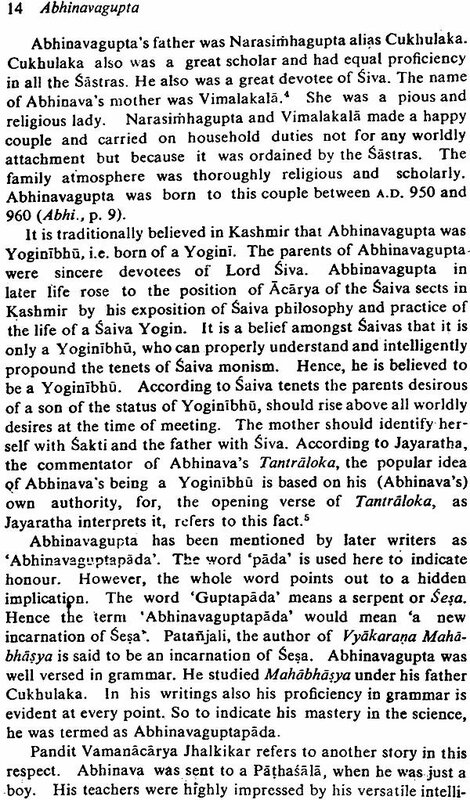 In the interpretation of Rasasutra, Abhinavagupta followed the theory of Dhvani or suggestion as propounded by Anandavardhana but also accepted the concept of Sadharanikarana or universalization from Bhattanayaka. 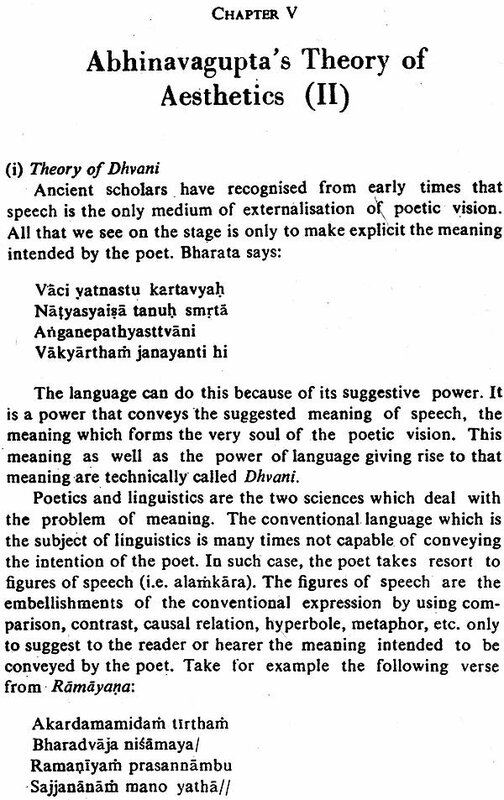 It is on the basis on Abhinavagupta's commentaries that we get a clear idea about the theories propounded in the Dhvanyaloka and Natya Shastra. His commentaries written in a fluent and ornate style have a place as pure literature itself. G.T. Deshpande (b. 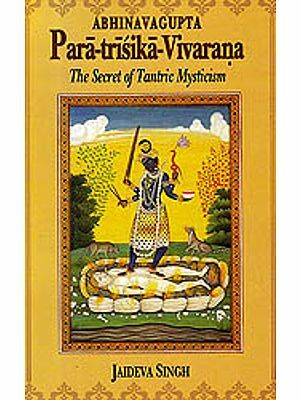 1910), the author of this book, retired in 1972 as Professor and Head of the Department of Sanskrit in Nagpur University. A recipient of the Sahitya Akademi Award, Dr. Deshpande has made notable contributions to the study of the Vedas, Alankarashastra, Grammar and Indian Philosophy. 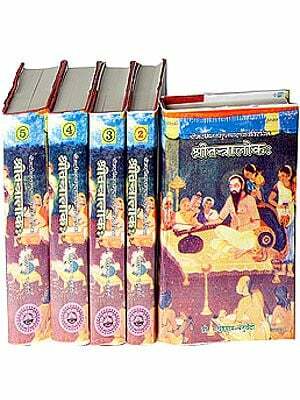 His numerous publications include Bharatiya Sahitya Shastra, Alankar Pradeep, and Sankhya Karika. 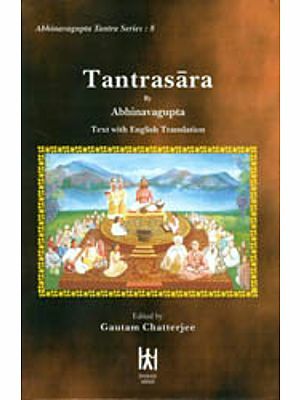 I have based this monograph on Abinavagupta mainly on the writings of late Dr. kanti Chandra Pandey, who devoted his scholarship to provide us with a detailed account of a well known but little studied philosophical system of Monistic Saivism of Kashmir and its greatest exponent Abinavagupta. 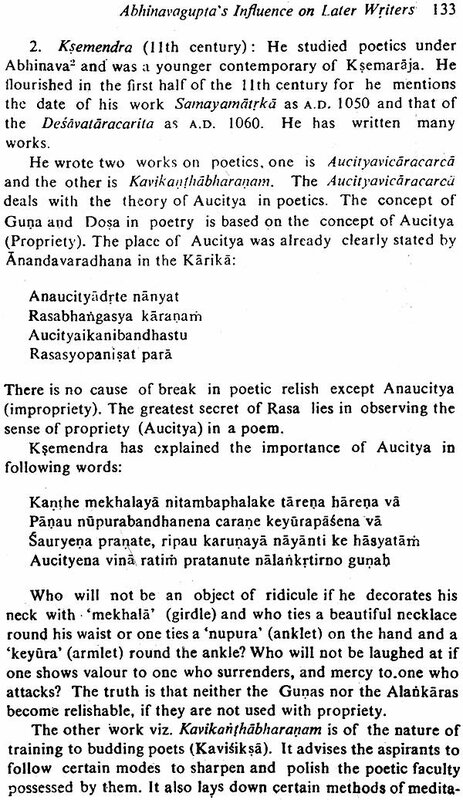 Those who are keen on studing the Saiva Monism of Kashmir or Abinavagupta's theory of aesthetics, cannot do so without going critically through the writing Of Dr. Pandey. 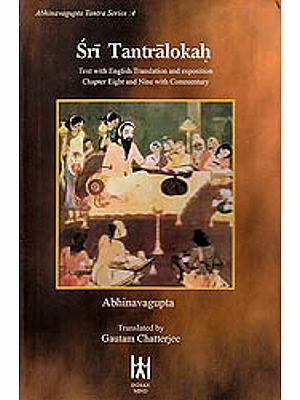 I happened to read his first treatise on Abinavagupta about thirty-five years ago. It created in me a keen interest in the Pratyabhijna School of philosophy. His first volume on Indian aesthetics brought about a change in my outlook towards Indian poetics. 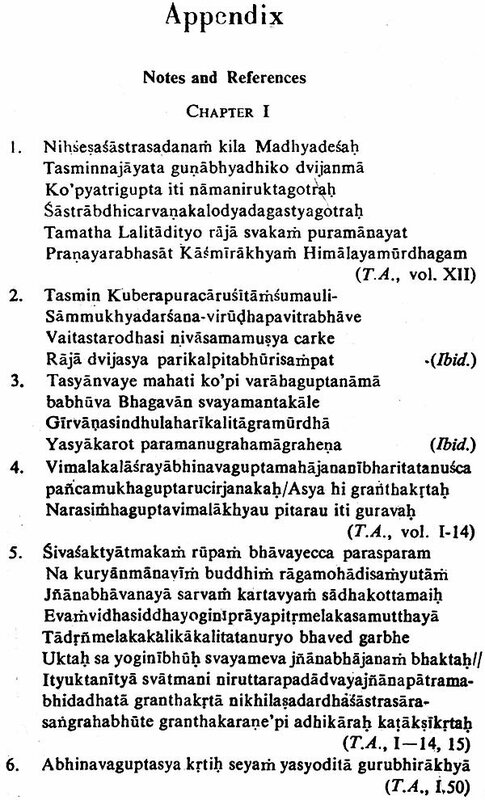 His volumes of Bhaskari made it easy for me to grasp the principles of the Pratyabhijna School. 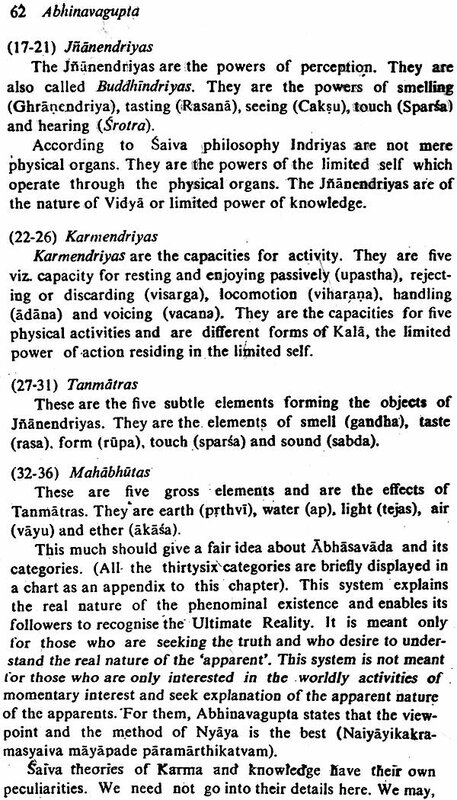 Dr. Pandey's writings thus have been for me a sources of inspiration to study Abhinavagupta, his philosophy and his aesthetics. In this monograph, I have borrowed the material from his writings and at places; I have used his expression also freely, as a student would use the thought and expression of his teacher. With a deep sense of gratitude, I dedicate to his sacred memory this small attempt of mine in the spirit of "Tvadiyam vastu Govinda tubhyam eva samarpaye". I am also grateful to other writers on the subject whose works I have utilised in preparing this monograph. Such works have separately been mentioned in the Bibliography attached to this book. 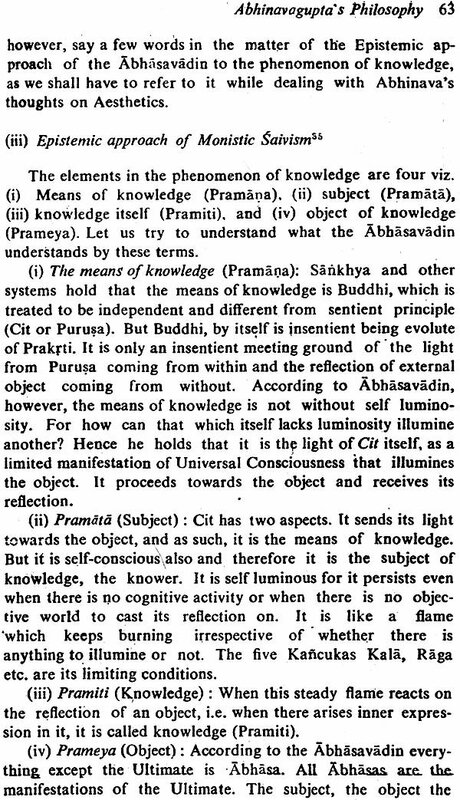 This essay is an attempt to acquaint the reader with Abhinava's thinking in Aesthetics and its philosophical basis as found in Monistic Saivism. I have also tried to show how in whatever he wrote on- whether philosophy or poetics- there runs an undercurrent of spirituality, culminating into the stage of oneness with the Ultimate. 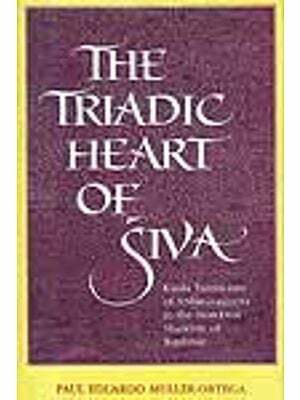 In the third chapter which deals with the philosophy of Saiva Monism, I have touched upon those points which, according to me, are necessary to understand Abhinava's theory of Rasa and Dhvani. 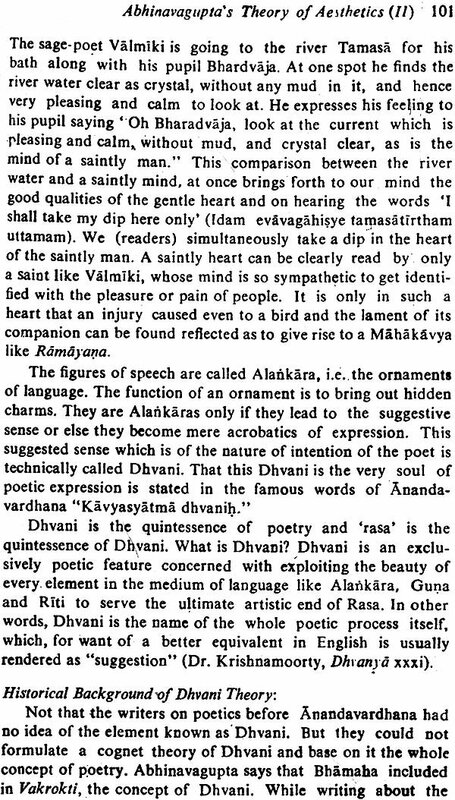 The treatment of Rasa and Dhvani forms the subject-matter of the fourth and fifth chapters. These three chapters together form the core of this book. 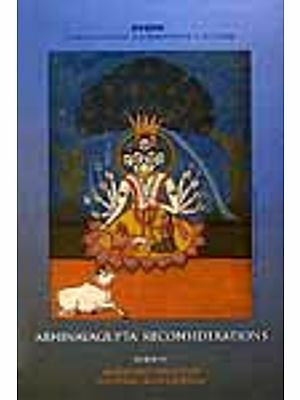 They are preceded by chapters on Abhinava's personal history and his works, and are followed by the chapters showing his influence and his contribution to Indian thought. 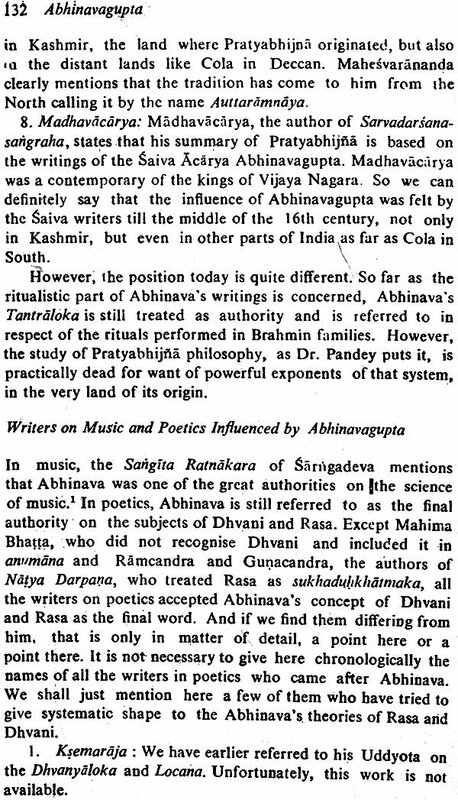 The reader, I hope, will get from these pages a general idea of Abhinavagupta as a person, as an aesthetician and as an exponent of Monistic Saivism. I have added at the end of this book an appendix, Notes and Reference'. 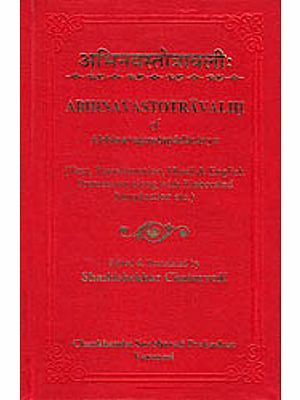 The original Sanskrit quotations from Abinava's various works are given there to indicate the sources on which the discussions in this book are based. 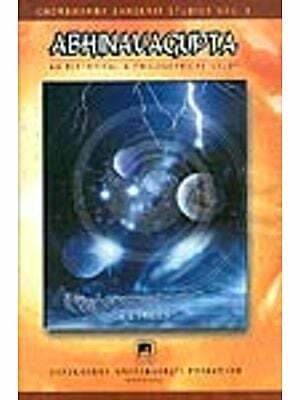 I have quoted a few Sanskrit verse in the this book are based. 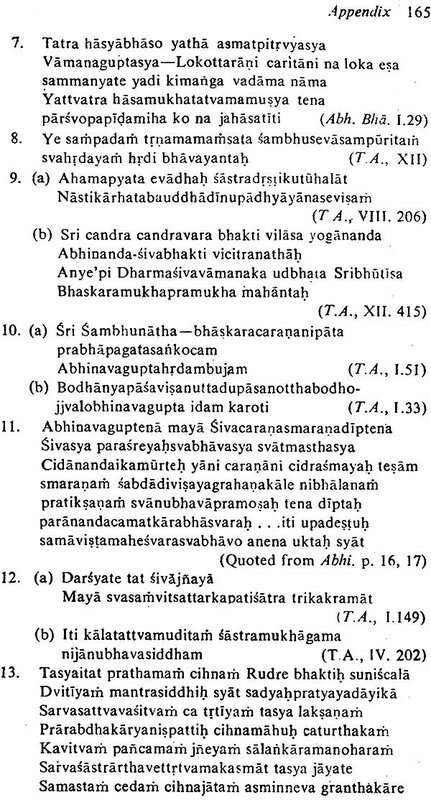 I have quoted a few Sanskrit verse in the body of the monograph. Their free English rendering has been given in the Notes. 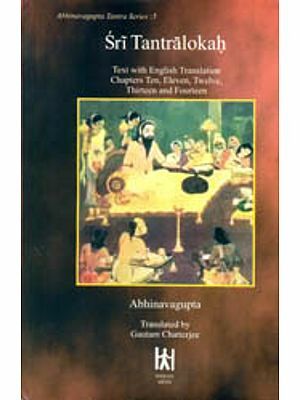 I am thankful to the Sahita Akademi, for giving me an opportunity to place my thoughts about Abhinavagupta together, in this monographs and for shouldering the responsibility of publishing these pages. I place this monograph in the hands of readers, whatever its worth is. I request them to suggest improvements which will be considered and utilised in the next edition. (iii) The Path of ""